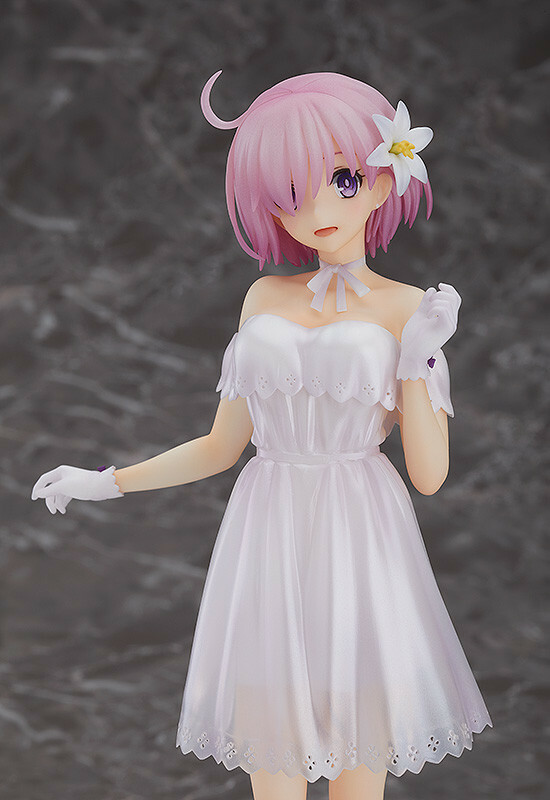 Shielder/Mash Kyrielight: Heroic Spirit Formal Dress Ver. 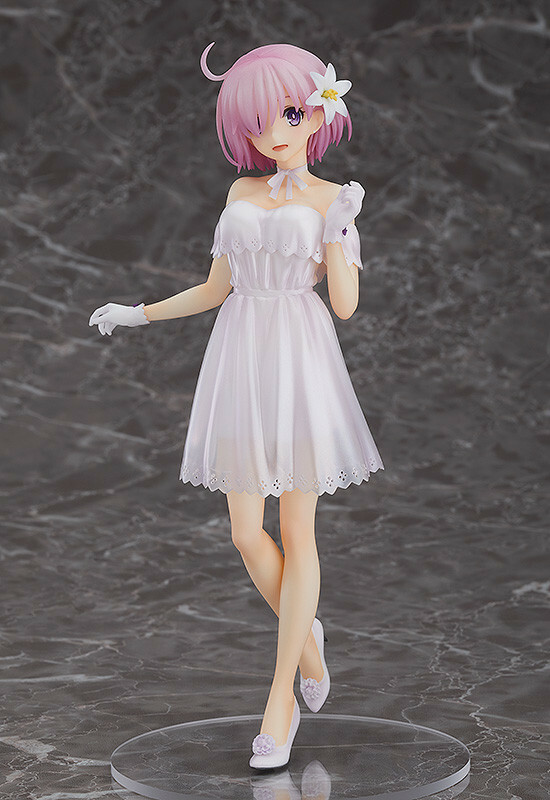 From the popular smartphone game "Fate/Grand Order" comes a scale figure of Mash Kyrielight in her costume from the 2nd anniversary "Heroic Spirit Formal Dress" series of illustrations. Mash's gleeful expression is complemented by a beautiful lily ornament in her hair. Her special white dress utilizes pearl paint and translucent parts to give it an elegant appearance. Be sure to add her to your collection! Painted 1/7th scale ABS&PVC product with stand included. Approximately 225mm in height. Preorders will be open from 24th January 2019 (Thu) from 12:00JST until 21st February 2019 (Thu) at 12:00JST.